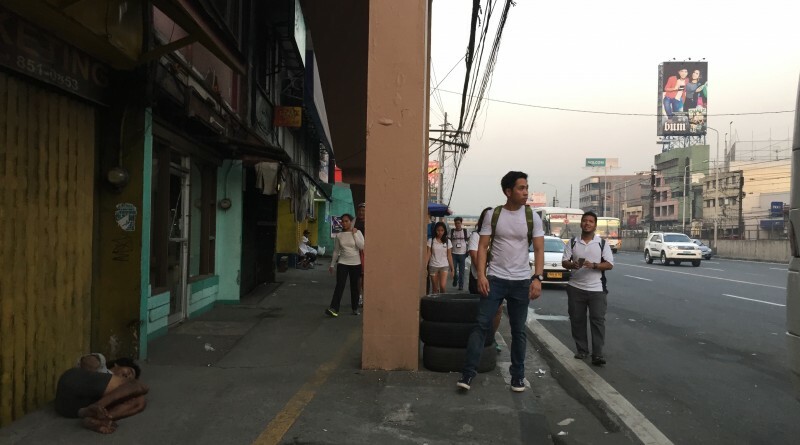 MANILA – Today I walked the entire stretch of EDSA, together with my fellow members of the Global Shapers Community – Manila Hub and advocates for pedestrian welfare and urban walkability. Our main goal for the walk was to start a conversation about how we can make Manila a “walkable city”, but in the process, gain insights as well in what are the issues we face in making this possible. There were a total of 13 walkers. 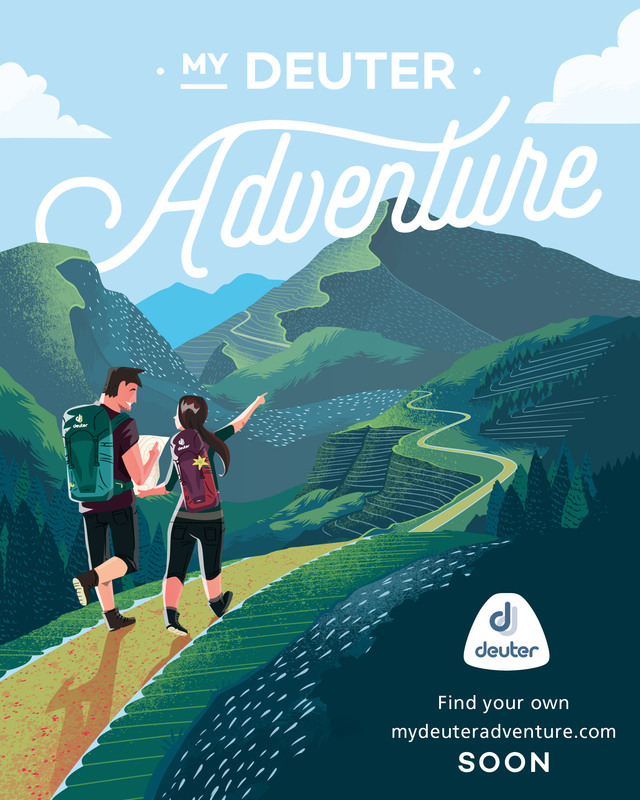 We deliberately didn’t publicise the event as we wanted to try it for ourselves first and see whether it is feasible as an organised event — but anyway, this is just the beginning (more on this later). We started the walk at exactly 0500H at the big globe at SM Mall of Asia, taking the northbound section of the street. Early on we saw the lack of an organised pedestrian infrastructure, with pedestrian lanes ending in metal fences, or walkways that end abruptly. We also saw that the streets of Pasay were littered with trash everywhere, and that there were many people who consider EDSA not just as a place to pass through, but a place to live. Makati was very different. Heralded by a beautiful fountain in the walkway across Skyway and SLEX, it was relatively clean and from Magallanes, the sidewalk was much better, with trees that made the air really much breathable. The attempt to make it a “bike lane”, however, is really lamentable given that doing so would effectively extinguish the sidewalk as a pedestrian lane, and there were electric posts blocking the path anyway – making it impractical for bikes. But we realised that Makati is actually quite walkable: Magellanes to Buendia can just take 30 minutes – which might even be less than the time for private vehicles to negotiate the same length on heavy traffic. From Guadalupe we crossed the bridge across Pasig River, taking in the foul smell of the river – but it wasn’t as strong as before. It was really manageable from the point onward, and the only other stressful place was Cubao with its chaos, and sidewalks that coexist with parking areas and vending spaces – almost in violation of the law of physics that says that no two things can occupy the same place at the same time. At 1030H – or 5 hours 30 minutes after we started – we reached the Sky Garden at SM North EDSA, concluding the walk. When we scrubbed off our faces with wet wipes, there was so much dirt that the wipes gained a shade of grey. But our white shirts didn’t really become grey – and the whole experience was much more bearable that many of us imagined. 1. Pollution was really a major obstacle: not just air pollution, but noise pollution. But the trees in Makati and QC made a lot of difference in making the air breathable, which is why I think a greener Metro Manila is needed if we are to make Manila walkable. As a medical doctor I see the potential of walking as a healthy activity, but we need to overcome the health risks involved. 2. There is no organized walking infrastructure. Sidewalks are too narrow, and at times nonexistent. 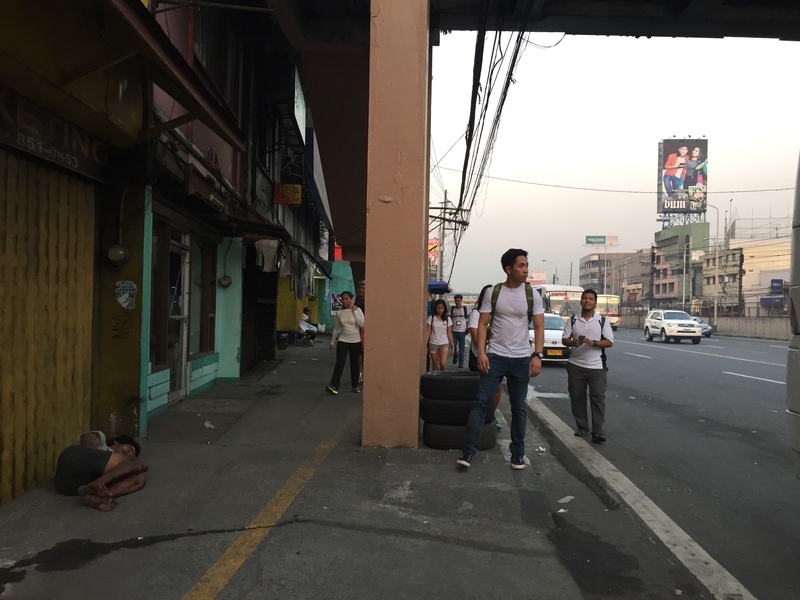 Joyce Aguirre, a landscape architect who joined our group, pointed out that 1.5 meters is the ideal width of a sidewalk and against this standard, Metro Manila’s sidewalks are a far cry (in at least one section near Guadalupe, only a slim person can comfortably fit). There are times when we don’t even know where to pass, because there are no signs for pedestrians. And at night there are many sections without lights, making it feel even more threatening, especially to individual walkers and women. And what of heavy rains and flooding? Surely in those instances walking is even more precarious, if not impossible. 3. EDSA is home and workplace for many. We saw a dog being bathed near Ortigas; men, women, and children sleeping in the sidewalks, and even a kid defying death by crossing a fast-paced section of Makati, as if EDSA were his playground. These must be taken into account in any comprehensive reform of our roads. Moreover, vendors coexist with “vendors not allowed” signs. As Global Shapers Community Manila Curator Kat Largo noted, this is really a matter of implementation: as in many things in the Philippines, we do have existing laws for pedestrians but they are not implemented. 4. Some pedestrians don’t follow the rules. While affirming pedestrian welfare, we saw – and do acknowledge – how pedestrians can be part of the problem too by not following pedestrian lanes and traffic lights. Any kind of advocacy should also focus on the pedestrians themselves. 5. On the other hand, there are many nasty drivers too – especially those who don’t respect pedestrian lanes. I do not like their arrogance and I think we pedestrians should be very clear that the pedestrian lanes must be defended and respected. In the Walk Manila advocacy that we want to push for, this is one of the things we can easily do: constitute the pedestrian lanes as a sacred space that we must fight for – and not allow to be trampled upon by motorists. 6. The city itself is not designed for pedestrians. Sidewalks are just an afterthought. I call this the architecture of social injustice, in the sense that our roads privilege those who can afford to have private vehicles, followed by those who can afford to take taxis and PUVs. In a literal and figurative sense, the poor are marginalised, and taking up the advocacy of pedestrian welfare is also an act of solidarity with them. 7. Creativity and design are important. Sustainability advocate Cherrie Atiliano pointed out that walking is much more manageable if there are attractions and something beautiful to see along the way. 8. Walkability should include accessibility for PWDs. Global Shapers Manila Environmental Committee chairperson Tieza Santos-Villarosa framed walkability as part of “inclusive mobility” and landscape architect Camille Lintag raised the need to also consider persons with disability. One of the memorable sights we saw in EDSA was that of a man on a wheelchair, precariously being pushed on the highway itself as there was no sidewalk to pass through. 9. EDSA is walkable. Manila is walkable. If people don’t start walking, there will no clamor for pedestrian reforms. But it is precisely the lack of reforms that prevent people from walking. So it’s a chicken-and-egg problem. Thus if we begin a walking culture than it can also be the beginning of making Manila walkable – one street at a time. For this reason, we encourage people to try out walking EDSA – as a form of social solidarity and learning about walkability, but about the city itself. Will write more in the coming days about the #WalkEDSA and how we would like to move towards a Walk Manila advocacy! Acknowledging the people who joined #WalkEDSA: Kat Largo, Jaime Villanueva, Cherrie Atiliano, Gonzalo Santos, Brenton Tan, Christine Fernandez, Cha Pineda, Ferdz Decena, Bong Justo, Camille Lintag and Joyce Aguirre. Thank you also to Tieza Santos-Villarosa and Enzo Pinga for joining us in the afternoon session, as well as the rest of the Global Shapers Community – Manila Hub for their support. We held #WalkEDSA as part of #ShapeSustainability, an initiative that challenges every hub to think of what they can do to make their citiies more sustainable.